LandScape magazine brings you the very best of Britain, every month. 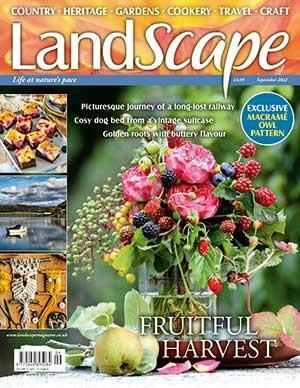 Subscribe to LandScape magazine and receive two years of magazines for the price of one year (terms and conditions apply). A subscription to LandScape magazine brings the best of every season to life in your home. You'll have 12 issues a year delivered directly to your door or digital device and, if you subscribe by 26 March 2019, you'll receive a two-year subscription for the price of one (terms and conditions apply).